There are plenty of options offered to homeowners where mattress shopping is concerned, but the best option available is a natural organic latex mattress. Made from the sap of the Hevea Brasiliensis rubber tree, organic latex mattresses are naturally elastic. This allows them to mould itself to the user’s body contours and keep the spine properly aligned, in turn reducing excessive pressure on certain body points and improving blood circulation through the night. The elastic nature of latex mattresses allows it to mould to the user’s body to keep the spine perfectly aligned. Leading the charge in providing consumers with high-quality organic latex mattresses is European Bedding. Proudly serving up its Heveya range, the collection offers 100% natural organic latex mattresses and pillows, ensuring their users’ nightly shuteye is a luxurious and worry-free experience. With Singapore’s high humidity point, it’s important for our mattress to regulate a comfortable temperature to ensure a pleasant night’s sleep. Organic latex mattresses are able to support this need. 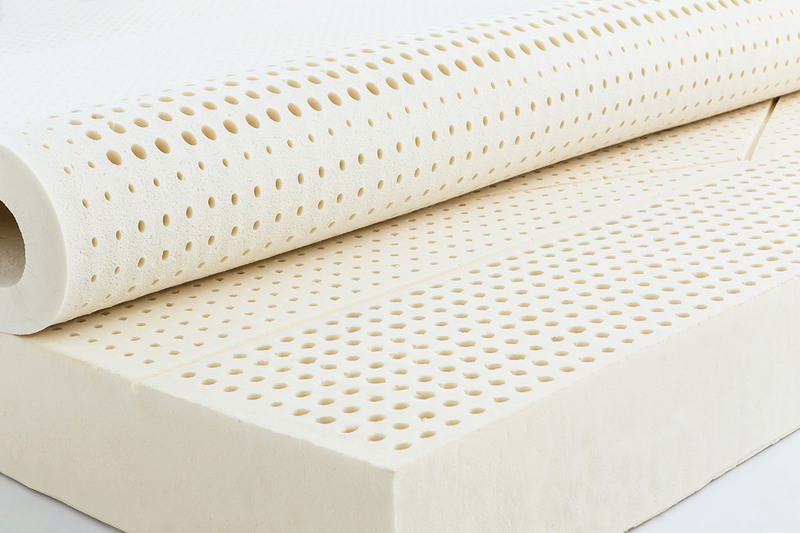 The mattress has good ventilation due to the open cell structure and pinholes design, as such they boast the ability to facilitate proper airflow during sleep. Open cell structures and the pinhole design of the Heveya natural organic latex mattress from European Bedding facilitates optimum airflow as you sleep. Additionally, organic latex is a naturally derived substance sourced from plantations that do not use pesticides or chemical fertilisers. This means that all of European Bedding’s mattresses are naturally dust mite, mildew and mould resistant, making them the perfect option for people with allergies. As we spend a third of our lives sleeping, it is important to clean the mattress cover at least once a year to remove all bacteria, dust-mites and odours that may have cumulated over time. With a zipper that goes all the way around, all the mattresses on offer come with a removable and cleanable cover, allowing them to be easily separated and individually cleaned, ensuring a clean and hygienic sleeping environment daily. The Heveya natural organic latex mattress from European Bedding comes with a removable cover that allows users to dry-clean it when needed. At the end of the day, it’s important to remember that the importance of a good and supportive mattress cannot be underestimated. By offering quality support and good health benefits, there’s no denying that European Bedding’s value-for-money organic latex mattresses will provide you with an unparalleled sleeping experience that promises to improve the quality of your life.